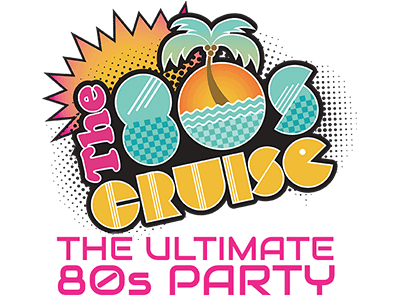 Amenities - The 80s Cruise 2018 - The Ultimate 80s Party! 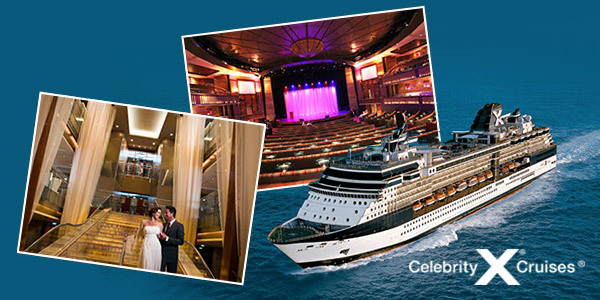 Celebrity is a premium cruise line voted best for 8 consecutive years by Travel Weekly’s Reader’s Choice Awards. 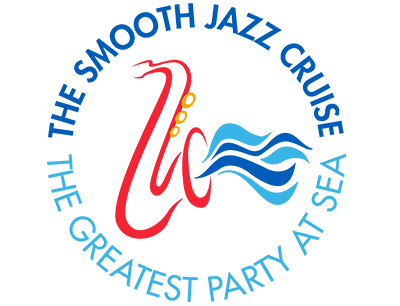 The entertainment venues onboard the Celebrity Summit will allow you to experience our music and entertainment programs like never before. 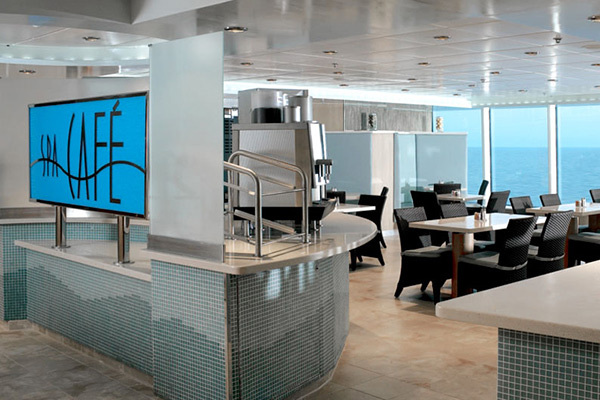 Whether you are lounging on the Rooftop Terrace, with its chic new way to experience the great outdoors, or dining at the Tuscan Grille where you can enjoy dry-aged steaks and fresh pasta, the amenities offered on this ship are unparalleled. Your dining will be anything but ordinary, the bars and lounges will offer a great place to relax and enjoy a drink, and the entertainment venues will fully immerse you into the 80s experience. 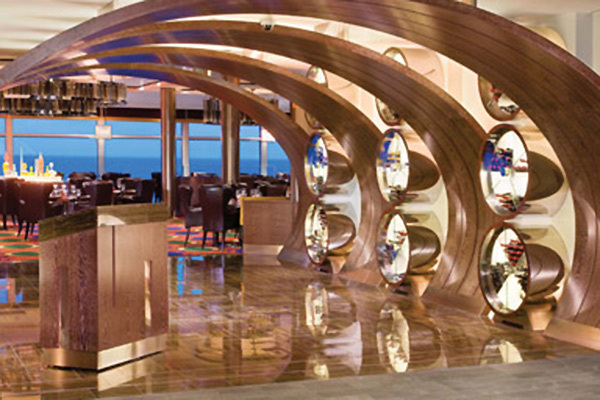 Explore the amenities below and discover why the Celebrity Summit was voted #5 of all luxury cruise ships for its excellence in cuisine and service. 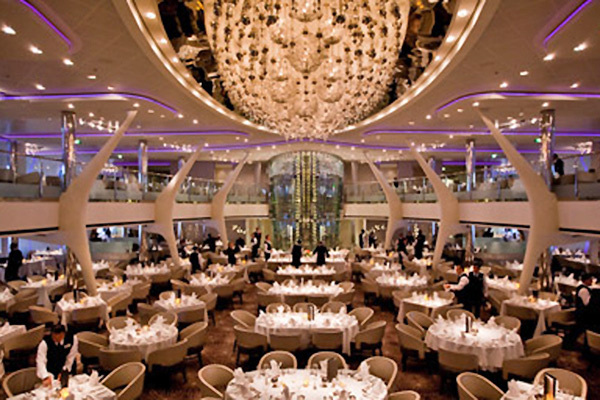 The centerpiece restaurant aboard the ship, you'll never be disappointed dining here. For breakfast, lunch and dinner, you'll find everything top notch. From the food, to the service, to the selection, it’s a really beautiful space to enjoy a meal. Don’t forget to step up your fashion before heading in this fine dining restaurant. 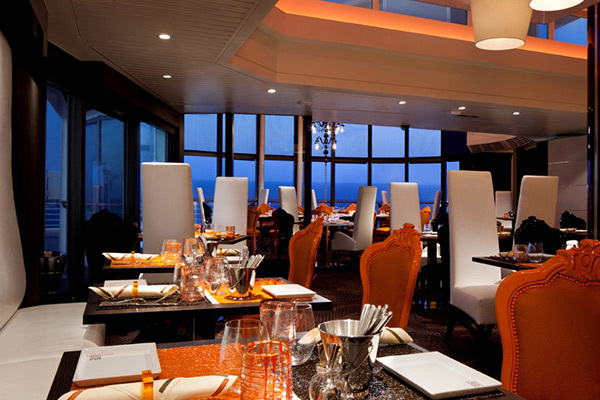 A dinner favorite, Qsine will take you on a culinary journey that delivers elements of surprise and delight. 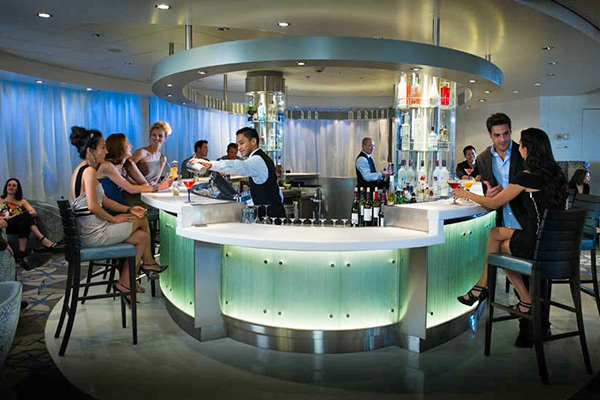 Celebrity’s James Beard featured Master Chef created Qsine to give you something you've never experienced before - on land or at sea. 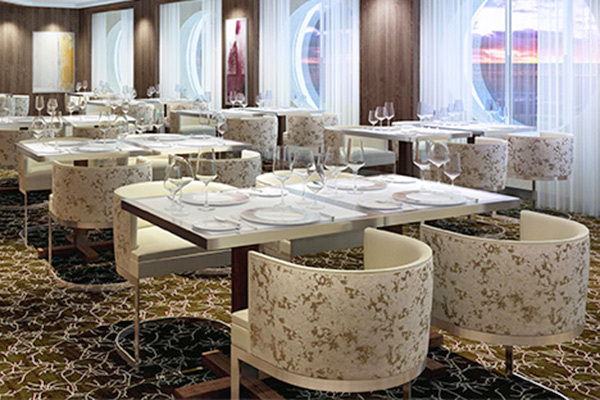 A breakfast, lunch and dinner culinary experience of modern and extraordinary service, the staff in Luminae will showcase the high level of Guest service on Celebrity Summit. This casual dining spot offers an international marketplace feel with choices from all over the world including stir-fry, sushi, pizza and pasta, a carving station, plus a great salad bar and a grilling station. It's also open for breakfast, lunch and dinner, plus stays open late for when you've got the munchies. Then there's the floor-to-ceiling ocean view, and the portholes in the floor so you can peer down at the sea. At the Mast Grill, step right up to the grill wearing your swimsuit and get made-to-order food right at the pool. Lunchtime favorites are typical grill fare – burgers, hot dogs and fries. 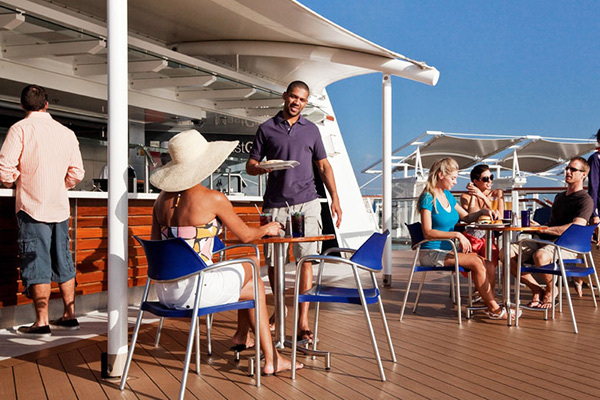 You won’t have to go far from your lounge spot to satisfy your hunger from basking in the sun all day. Head on over to this little spot of healthiness inside the Solarium pool area. 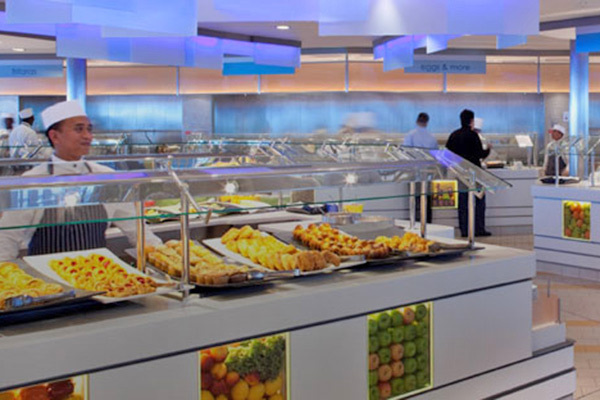 In addition to offering fresh smoothies, juices and yogurt parfaits, the AquaSpa Café also serves up breakfast and lunches designed to be light on calories and high on flavor. It's all so yummy, you'll almost forget it's good for you. 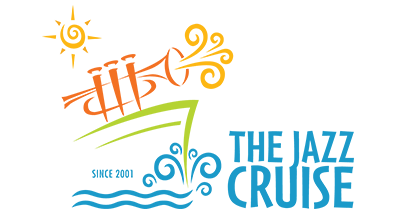 Sushi on Five satisfies your craving for fresh, locally sourced, authentically prepared fish and veggies. Its menu has been crafted by expert sushi chef Yoshikazu "Yoshi" Okada. Discover your new favorite Japanese beer or premium sake. Start your meal with some Kobe beef ramen sliders or a rich bowl of lobster ramen. Treat yourself to the complex tastes and textures of a hand-made sushi roll and finish the meal with an amazing dessert. When you need a little caffeine fix to keep you going – whether it's at early in the morning to wake you up or later in the evening to keep you up — this charming coffee bar is your go-to spot. They serve up rich, delicious Italian Lavazza coffee, along with lively conversation and an array of specialty desserts. 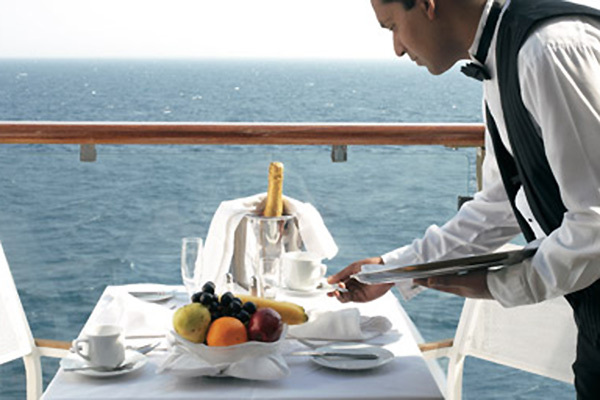 When you’re in the mood to relax and dine in the comfort of your stateroom, Celebrity offers complimentary 24-hour in-stateroom dining. 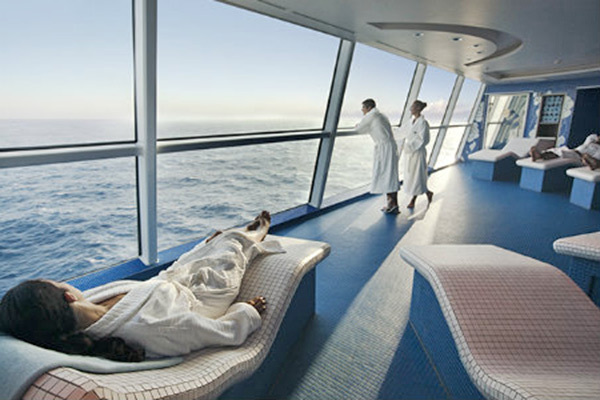 Relax and rejuvenate in the serene, indulgent, spa at sea. 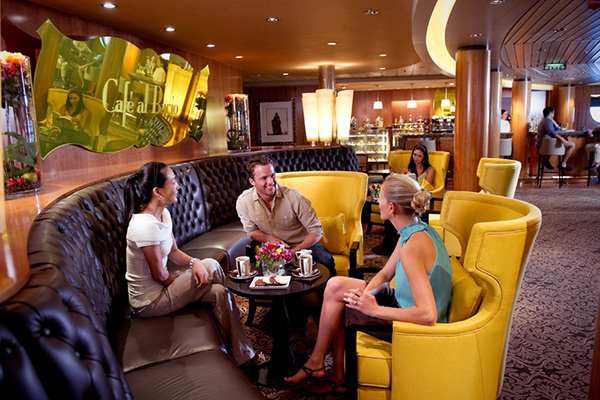 Experience the unique services of Canyon Ranch in a breathtaking setting—aboard Celebrity's modern luxury cruise ship. Enhance your vacation with a complete wellness and lifestyle program that increases resilience, restores serenity, and helps you feel rejuvenated. 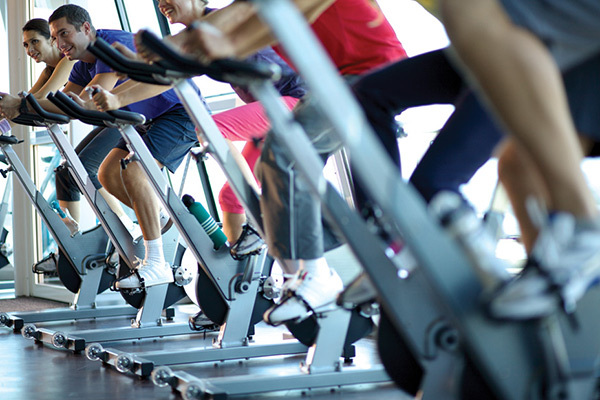 In the Celebrity Summit’s fitness center, you can meet with a personal trainer, take a fitness class, try our resistance swimming pool or challenge yourself on our state-of-the-art exercise equipment. On the totally cool, ice-topped bar, our talented bartenders put on a high-energy show preparing an intriguing menu of classic and contemporary martinis. Sit back in the contemporary, plush high-back chairs while listening to up-tempo tunes and enjoy a collection of classic and rare vodkas. Inspired by the vineyards of the world, Cellar Masters brings to life the experience of a global wine tour, while you learn about and taste a large variety of wines from around the world. Using state-of-the-art Enomatic® wine dispensers, your bacchanalian curiosity is satisfied with the press of a button. 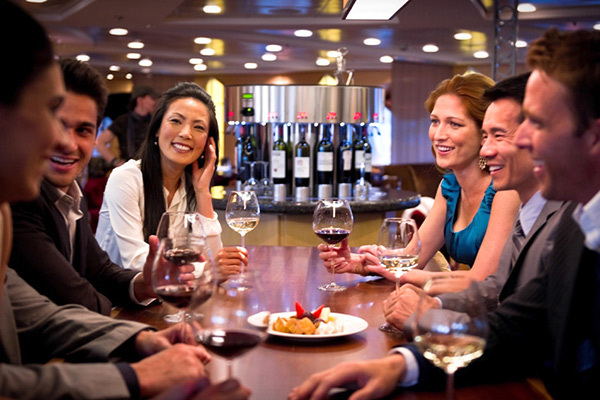 A welcoming and unique onboard environment, you'll discover new wines, receive recommendations and enrich your knowledge of the world of wine. A chic new rooftop terrace, soundscape, and movie screen, where you can kick back and catch a flick under the stars with theme cocktails and snacks. The inviting scene welcomes you with cozy new furnishings and artistic elements. 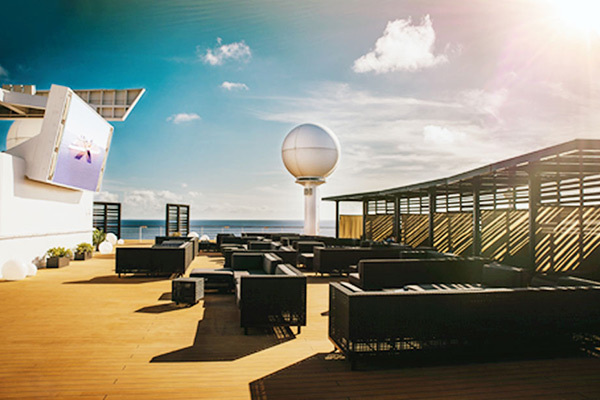 It’s the trendiest hot spot at sea. Fortunes Casino offers a sophisticated ambiance and a captivating, smoke free atmosphere. 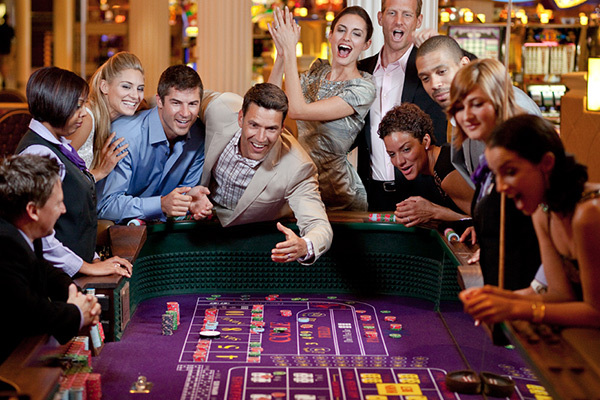 Celebrity Summit’s casinos rival the biggest and best, with custom limits and better odds across a variety of games. Take the traditional style and artisanal flair of Italy, add contemporary influences, and the Summit Chefs will serve the cuisine in abundance. 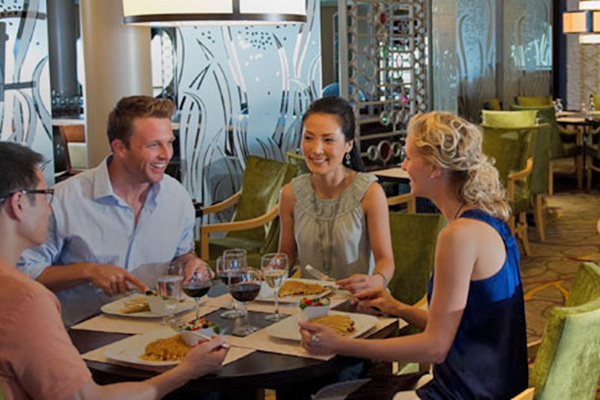 It’s all part of the expansive character of Tuscan Grille, which according to Cruise Critic is the #3 ranked Specialty Restaurant among all large ships.